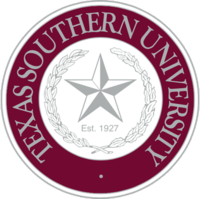 Texas Southern University (shortened to Texas Southern or simply TSU) is a historically black university (HBCU) located in Houston, Texas, accredited by the Southern Association of Colleges and Schools. The University was established in 1927 as the Houston Colored Junior College. It developed through its private college phase as the four-year Houston Colored College. On March 3, 1947, the state declared this to be the first state university in Houston; it was renamed Texas State University for Negroes. In 1951, the name changed to Texas Southern University. Texas Southern University is one of the largest and most comprehensive HBCUs in the nation. TSU is one of only four independent public universities in Texas (those not affiliated with any of Texas' six public university systems) and the only HBCU in Texas recognized as one of America's Top Colleges by Forbes magazine. TSU is the leading producer of college degrees to African Americans and Hispanics in Texas and ranks 4th in the United States in doctoral and professional degrees conferred to African Americans. The university is a member-school of the Thurgood Marshall College Fund. Dr. Waldivia Ardlaw of Cite: The Architecture + Design Review of Houston wrote that the university serves as "the cultural and community center of" the Third Ward area where it is located, in addition to being its university. Also, the university serves as a notable economic resource for Greater Houston, contributing over $500 million to the region's gross sales and being directly and indirectly responsible for over 3,000 jobs. On March 7, 1927 the Houston Independent School District school board resolved to establish junior colleges for each race, as the state was racially segregated in all public facilities. The resolution created Houston Junior College (later became the University of Houston) and Houston Colored Junior College. The Houston Colored Junior College first held classes at Jack Yates High School during the evenings. It later changed its name to Houston College for Negroes. In February 1946, Heman Marion Sweatt, an African-American man, applied to the University of Texas School of Law. He was denied admission because of race, and subsequently filed suit in Sweatt v. Painter (1950). The state had no law school for African Americans. Instead of granting Sweatt a writ of mandamus to attend the University of Texas, the trial court granted a continuance for six months to allow the state time to create a law school for blacks. As a result, the state founded Texas Southern University under Texas Senate Bill 140 by the Fiftieth Texas Legislature on March 3, 1947 as a state university to be located in Houston. Originally named Texas State University for Negroes, the school was established to serve African Americans in Texas and offer them fields of study comparable to those available to white Texans. The state took over the Houston Independent School District (HISD)-run Houston College for Negroes as a basis for the new university. At the time, Houston College moved to the present site (adjacent to the University of Houston), which was donated by Hugh Roy Cullen. It had one permanent building and an existing faculty and students. The new university was charged with teaching "pharmacy, dentistry, arts and sciences, journalism education, literature, law, medicine and other professional courses." The legislature stipulated that "these courses shall be equivalent to those offered at other institutions of this type supported by the State of Texas." Given the differences in facilities and intangibles, such as the distance of the new school from Austin, the University of Texas School of Law, and other law students, the United States Supreme Court ruled the new facility did not satisfy "separate but equal" provisions.It ruled that African Americans must also be admitted to the University of Texas Law School at Austin. See Sweatt v. Painter (1950). The university today has more than 45 buildings on a 150-acre (0.61 km2) urban gated campus centrally located in Houston. The campus is only three miles southeast of Downtown Houston and six miles east of Uptown Houston. The school's first structure was the Thornton B. Fairchild Building, built 1947-1948 and housing administration and classroom space. Temporary buildings served as faculty housing during that time. The Mack H. Hannah hall, designed by Lamar Q. Cato and opened in 1950, was the second building. In the late 1950s many more buildings opened, including classroom, dormitory, and student union facilities. Opened in 2000, the 11,000-square-foot (1,000 m2) exhibition space displays a variety of historical and contemporary art. The museum is the permanent home of the Web of Life, a twenty-six-foot mural masterpiece by world-renowned artist Dr. John T. Biggers, founding chairman of the TSU art department. In 2014, TSU unveiled the $31 million 108,000-square-foot, four-story structure named after the school's fifth president. In addition to having 35 state-of-the-art labs, the facility is home to a new Tier 1 University Transportation Center, the Center for Transportation Training and Research, and the new National Science Foundation Center for Research on Complex Networks. The departments of Engineering, Transportation Studies, Computer Science, Industrial Technology, Physics, and Aviation Science and Technology academic programs are housed in the building. TSU is the only four-year state supported university in Texas to offer a Pilot Ground School course and the first HBCU to implement a Maritime Transportation degree program. Jesse H. Jones (JHJ) School of Business is located in a three-story, 76,000 square-foot building completed in 1998 and accommodates approximately 1,600 students in undergraduate and graduate studies. The Jesse H. Jones School of Business is accredited by the Association to Advance Collegiate Schools of Business (AACSB) and been named one of the "Best Business Schools" by the Princeton Review. JHJ School of Business is consistently one of the highest ranked business schools from a public HBCU in the US News and World Report rankings. The Jesse H. Jones School of Business currently offers bachelor's degree majors in Accounting, Finance, Management, Management Information Systems, and Marketing with master's degree majors in Masters of Business Administration (MBA), Masters in Management Information Systems, and Executive Masters of Business Administration (eMBA). Its eMBA program was ranked 5th in the United States by Business MBA. The College of Education building consists of the Department of Counseling, the Department of Curriculm and Instruction, the Department of Educational Administration & Foundations, and the Department of Health and Kinesiology. The College has an enrollment of approximately 1,000 in undergraduate and graduate studies. In 2014, the National Council on Teacher Quality ranked TSU's College of Education 56th in the nation for best secondary education programs and gave the college a "top-ranked" distinction. An extensive set of curricular offerings is provided through the Barbara Jordan - Mickey Leland School Of Public Affairs, which offers courses in Administration of Justice (AJ), Political Science (POLS), Public Affairs (PA), Military Science (MSCI), and Urban Planning & Environmental Policy (UPEP) on the undergraduate, graduate, or doctoral level. The school sits in a 82,000-square-foot facility completed in 2008. Sociologist Robert D. Bullard currently is Dean of the school. The School of Science and Technology building is home to several scholastic programs, such as the Houston Louis Stokes Alliance Minority Program (H-LSAMP) and the Thomas Freeman Honors College. It also houses several research programs, such as the NASA University Research Center for Bio-Nanotechnology and Environmental Research (NASA URC C-BER), Maritime Transportation Studies and Research, as well as the STEM research program.TSU’s NASA University Research Center (C-BER) addresses human health concerns related to manned exploration of space. Programs such as TSU’s NASA University Research Center (C-BER) and participation in The Louis Stokes Alliance for Minority Preparation Program (LSAMP) support undergraduate, graduate and faculty development while helping to increase the number of US citizens receiving degrees in Science, Technology, Engineering and Mathematics (STEM) fields. The school offers the only doctoral degree in environmental toxicology in Southeast Texas. The College of Pharmacy and Health Sciences (COPHS) is housed in the Spurgeon N. Gray Hall. COPHS has approximately 800 students and ranked 80th in the nation by U.S. News & World Report. COPHS has the distinction of being one of the nation’s leading producers of minority health professionals. For the past half‑century, the College has produced nearly one‑third of the Black pharmacists practicing nationwide. TSU has also been a leading producer of Black medical technologists and respiratory therapists. TSU is one of only two public HBCUs in the nation with an accredited and comprehensive pharmacy program. The Thurgood Marshall School of Law (TMSL) is one of only four public law schools in Texas and ranks as one of the most diverse law schools in the nation by U.S. News & World Report. TMSL is accredited by the American Bar Association (ABA) and a member-school of The Association of American Law Schools (AALS). Enrollment is at approximately 600 students. The Ernest S. Sterling Student Life Center (SSLC) is the nucleus of campus life at TSU. It provides cultural, social, recreational, educational and religious programs and services for students, faculty, staff, alumni and guests, as it creates constructive leisure and educational activities. The Student Center is home to the TSU Bookstore, TSU Cheerleaders, Bowling Alley, Game Room, Student Government Association (SGA), University Program Council (UPC), Herald Newspaper, Tiger Yearbook, Cafeteria, Office of Campus Organizations, Student Activities, Administrative Offices and Office of Events. Recently renovated, the Sawyer Auditorium is Texas Southern University’s historical landmark. Sawyer Auditorium features split level seating for up to 1,800 guests for hosting university sponsored events. It also has an adjacent drama playhouse. Constructed in 1969, Newman Hall houses the Texas Southern University campus ministry, blending three activity areas. The worship, library and social functions all revolve around a central, sky-lit interior. Flexibility of interior use is achieved with moveable furniture and rolling barn doors. The Tiger Walk is the maroon and gray paved central street on campus where most of TSU outdoor social activities are held and a popular spot for students to relax or socialize. The school has apartments and residence halls. BBVA Compass Stadium - The $95 million brand new 22,000 seat stadium in East Downtown is the new permanent home of Tiger Football as of Fall 2012. Health and Physical Education Arena (H&PE Arena) - An 8,100 seat athletic arena (largest arena in the SWAC). It is home to the annual graduation ceremonies, Tiger Basketball, Lady Tiger Basketball and Volleyball. Alexander Durley Stadium - The 5,500 seat stadium is the home of TSU soccer games and the annual TSU Relays. TSU Recreation and Wellness Center - A state-of-the-art multi-purpose athletic facility that features three full courts, an indoor track, swimming pool, weight room, exercise studios, lounge areas (equipped with Satellite TVs), study area, and a health conscious food court. Metropolitan Transit Authority of Harris County (METRO) operates public transportation services, including buses and the METRORail tram service, which serve the university. The METRORail Purple Line station serving the university is Robertson Stadium/UH/TSU station. Texas Southern University offers over 80 bachelor's, master's, and doctoral degrees. The university is classified by the Carnegie Foundation as a "Doctoral university with moderate research activity" and currently comprises 11 schools and colleges along with several scholastic and research programs. The Thomas F. Freeman Honors College was established to further cultivate high-achieving undergraduate students of all majors in their academic and leadership endeavours. Texas Southern University annually receives over 10,000 applications and only offer admissions to approximately 50% of applicants. Texas Southern University's main library is the Robert J. Terry (RJT) Library. The Brown Foundation re-invested in TSU with a two-year $1.2 million commitment to the Robert J. Terry Library to improve its Urban Learning Center. The Urban Learning Center is an integral part of a new era of initiatives at Texas Southern and will provide critical support to the currently planned Academic Village. The new improvements will enhance the ability of the RJT Library to address the literary and academic needs of TSU students. The RJT library is home to an African Art Gallery, The Heartman Collection, and many types of valuable archives. The Thurgood Marshall School of Law building also houses an extensive library. As of 2015, the student body is 76% African-American, 9% Hispanic, 7% International, 3% White, and 5% Other. The top three state origins of U.S. students following Texas are California, Louisiana, and Georgia. And the top three country origins of international students are Saudi Arabia, Nigeria, and China. The student body is 42% male and 58% female. The student-to-faculty ratio is 19 to 1. From earth to the heav’ns above. To the school we dearly love. T-S-U, T-S-U, we love you. Paved with light for one and all. Hail to our Chiefs in reverence we sing. There are several traditions established on the campus of Texas Southern University. The most well-known ones are Labor Day Classic festivities, homecoming week, TSU founding day celebration, Springfest week, and the TSU Shuffle (line dance). Texas Southern University's internationally acclaimed debate team has won hundreds of national and international debate competitions since its inception. The debate team was founded by professor emeritus and coach Dr. Thomas Freeman in 1949. Dr. Freeman has led the team for over 60 years and is credited for training notable leaders such as former U.S. Congresswoman Barbara Jordan and civil rights activist Martin Luther King, Jr. while serving as a visiting professor at Morehouse College. Texas Southern's marching band the Ocean of Soul has won numerous awards and performed at Super Bowls, The Stellar Awards, various parades, NBA and Houston Texans games. The 200+ member band alumni include Grammy award-winning jazz saxophonist Kirk Whalum. The Ocean of Soul is complemented by The Motion of The Ocean, a female dance team that has been featured on America's Best Dance Crew. Texas Southern sports teams participate in NCAA Division I (Championship Subdivision for football) in the Southwestern Athletic Conference (SWAC). Texas Southern is part of the Western Division in SWAC divisional sports. Men's varsity sports include baseball, basketball, football, golf, and track and field. Women's varsity sports include basketball, bowling, cross country, golf, soccer, softball, track and field, and volleyball. Texas Southern most well-known rivals are Prairie View A&M, Southern, Grambling State, and Jackson State. In addition to serving as a training unit for TSU students, the station was also established to serve the University at the program level as well as the community by presenting various types of TSU athletics, educational, cultural and social programs to a primarily listening area within a 10-mile (16 km) radius of the University. A 1973 survey indicated that radio was generally the preferred source of information of African-Americans, particularly those with less than a high school education. By the late 1970s, the station had secured an ample audience and programming increased in scope. At the same time, the station increased its power range from 10 watts to 18,500 watts. According to the Arbitron Rating Service (ARS), KTSU has an audience of 244,700 listeners and is number one over all of Houston/Galveston stations for its Sunday format and its Friday format of Golden Oldies. Kenneth M. Hoyt 1969 and 1972 Nominated by President Ronald Reagan to a seat on the United States District Court for the Southern District of Texas. He was the second African-American to serve as federal judge in Texas. He took senior status in 2013. Mickey Leland 1970 Anti-poverty activist and later a congressman from the Texas 18th District and chair of the Congressional Black Caucus . ↑ "HBCU Money's 2015 Top 10 HBCU Endowments |". Hbcumoney.com. 2016-02-02. Retrieved 2016-04-09. ↑ TSU Graphic Standards (PDF). 2015-09-01. Retrieved 2016-04-09. ↑ "COC Colleges & Universities" (PDF). Southern Associates of Colleges and Schools Commission on Colleges. Retrieved 18 May 2015. ↑ "TSU History" (PDF). Jesse H. Jones School of Business. p. 8. Retrieved 18 May 2015. ↑ Howard, Caroline (30 July 2014). "Colleges - Texas Southern University - Top Colleges 2014: Best Schools, Best Value, Best For You". Forbes. Retrieved 18 May 2015. ↑ "TSU Earns Top Ranking as "Degree Producer" Among African American & Hispanic Students". Texas Southern University. 10 September 2012. Retrieved 18 May 2015. 1 2 Wardlaw, Alvia. "Heart of the Third Ward: Texas Southern University" (Archive). Cite: The Architecture + Design Review of Houston. Rice Design Alliance, Fall 1996. Volume 35. p.20. ↑ Johnson, Tilicia. "TSU Economic Impact Study". ↑ "How TSU students changed history". Houston Chronicle. Retrieved 14 October 2015. ↑ "Residents fighting to save Southmore Post Office at the site of Houston's first sit-in". abc13.com. Retrieved 2016-04-09. ↑ Wardlaw, Alvia. "Heart of the Third Ward: Texas Southern University" (Archive). Cite: The Architecture + Design Review of Houston. Rice Design Alliance, Fall 1996. Volume 35. p.21. ↑ "University Museum". Texas Southern University. ↑ "John Biggers brought African influence to art | African American Registry". www.aaregistry.org. Retrieved 2016-01-18. ↑ "Spearman Technology Building". Texas Southern University. ↑ "Texas Southern University". guidrynews.com. Retrieved 14 October 2015. ↑ "Archived copy" (PDF). Archived from the original (PDF) on January 16, 2014. Retrieved January 12, 2014. ↑ "Business School Data Trends and 2010 List of Accredited Schools" (PDF). AACSB. p. 55. Retrieved 18 May 2015. ↑ "Jesse H. Jones School Of Business At Texas Southern University Featured In The Princeton Review's "Best 295 Business Schools: 2014 Edition"". Princeton Review. 7 November 2013. Retrieved 18 May 2015. ↑ "Top 10 Best Online Executive MBA Programs 2013". Business MBA. Retrieved 18 May 2015. ↑ "Archived copy". Archived from the original on July 29, 2014. Retrieved June 20, 2014. 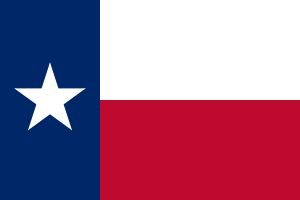 ↑ "Texas does well in teacher training rankings". K-12 Zone. Retrieved 14 October 2015. ↑ "Archived copy". Archived from the original on August 8, 2014. Retrieved August 8, 2014. ↑ TSU. "About Us". tsu.edu. Retrieved 14 October 2015. ↑ "Toxicology". www.gradschools.com. Retrieved 14 October 2015. ↑ "ACPE Accredited HBCU Pharmacy Schools". ↑ "Law School Diversity Programs - Top Law Schools - US News Best Graduate Schools". rankingsandreviews.com. Retrieved 14 October 2015. ↑ Forward Times Staff. "Thurgood Marshall School of Law Admitted into AALS". forwardtimesonline.com. Retrieved 14 October 2015. ↑ "Sterling Student Center". Texas Southern University. ↑ "The Residence Halls". Texas Southern University. ↑ "Texas Southern University". Center for Postsecondary Research. 2016. Retrieved March 2, 2016. ↑ Board, Texas Higher Education Coordinating. "THECB - Report Center". ↑ "Special Collections". Tsu.edu. 2011-12-19. Retrieved 2016-04-09. ↑ "Fact at a Glance" (PDF). tsu.edu. Retrieved January 12, 2014. ↑ Board, Texas Higher Education Coordinating. "THECB - 2016 Higher Education Almanac". ↑ "Texas Souther University History and Alma Mater" (PDF). ↑ "Houston Bands March at Super Bowl XXXVIII". CHRON. Retrieved 2009-05-19. ↑ "RECAP:Stellar Award 20th Anniversary Taping 2005". Gospel Flava. Retrieved 2009-05-19. ↑ "Michael Strahan Biography". tvguide.com. Retrieved 30 August 2010. ↑ "Yolanda Adams – Biography of Urban Gospel Artist Yolanda Adams". about.com. Retrieved 30 August 2010. ↑ "JORDAN, Barbara Charline – Biographical Information". bioguide.congress.gov. Retrieved 30 August 2010. ↑ "LELAND, George Thomas (Mickey) – Biographical Information". bioguide.congress.gov. Retrieved 30 August 2010. ↑ "Welcome to Thurgood Marshall School of Law in Houston, Texas". tsulaw.edu. Retrieved 14 October 2015. ↑ "Ruth Jones McClendon". intelius.com. Retrieved December 10, 2014. ↑ "Meet Gilbert Pena". Take Back House District 144. Retrieved December 10, 2014. ↑ "Tavis Smiley . Shows . Harry Johnson . April 4, 2007". pbs.org. Retrieved 30 August 2010. ↑ "Ron Reynolds". The Texas Tribune. Retrieved December 12, 2014. ↑ "Cortez Hankton, Past Statistics History Awards". databasefootball.com. Retrieved 13 January 2011. ↑ "Oliver Celestin, Past Statistics History Awards". databasefootball.com. Retrieved 13 January 2011. ↑ "Warren Bone". Pro-Football-Reference.com. Retrieved 2010-11-09. ↑ "Wilton Felder obituary". The Guardian. Retrieved November 14, 2016. ↑ "City of Houston > Office of the City Controller". houstontx.gov. Retrieved 30 August 2010. ↑ "USATF Hall of Fame". Retrieved 2012-08-03. ↑ "MEIEA Summit 2015". meiea.org. Retrieved 14 October 2015. ↑ "Amazon". amazon.com. Retrieved 31 October 2016. Wikimedia Commons has media related to Texas Southern University.